Once you turn the corner into your third trimester, you may notice the pregnancy “honeymoon” is over. Your baby’s growth is accelerating and you may be experiencing a whole new batch of aches and pains. 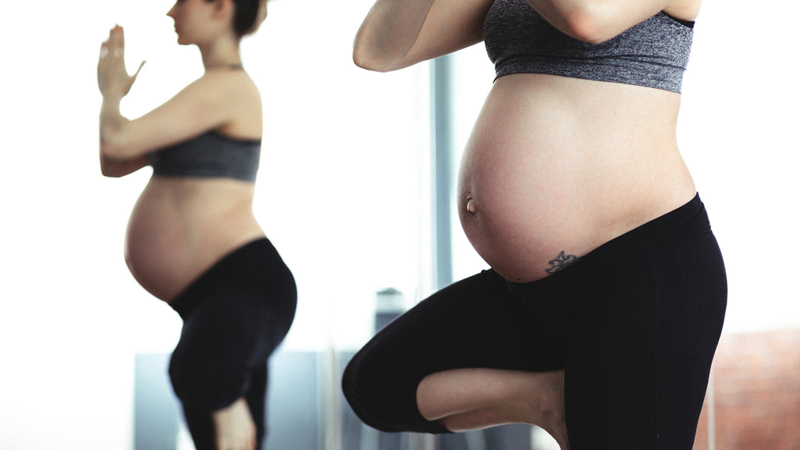 Yoga within the third trimester focuses on preparing the body for labor and delivery, and encouraging the baby the move into optimal fetal position. 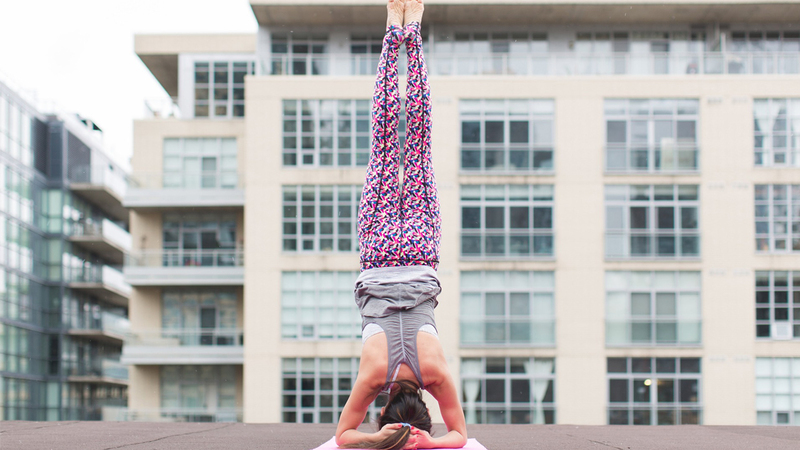 To do this, there are certain poses that we emphasize, and some that we omit from our yoga cannon. Do’s : Getting on all 4s! 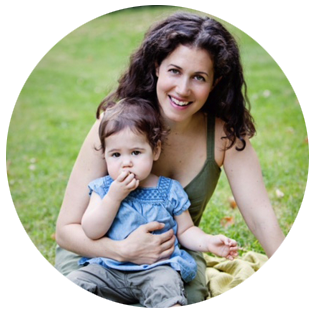 Most of the poses we include in class help the baby move into an anterior position. This is when the baby’s spine is facing the mothers front. Picture yourself in on all 4’s, or even get on the floor on hands and knees. Your belly is facing the floor and creating a “hammock” for your baby to lie in. The heaviest part of the baby is their back and occiput (back of their skull), since babies are affected by gravity, doing poses on all 4s will continue to encourage your baby to swing forward, away from the mother’s back. It also takes pressure of the lower back, which is bearing the brunt of the front loaded belly at this point. Poses in this family include, cat/cow, flowing cat/cow, body circles, child’s pose, and downward facing dog. No more long supine at the end of class! At Prenatal Yoga Center, we start most of our classes with a few minutes in a restorative pose, usually inclined supta baddha konasana (reclined goddess pose). While these poses are extremely restful, which is vital for the often depleted third trimester mama, they are counterintuitive for the end of class. As we just discussed, babies internal placement is influenced by the mother’s body positions. At the end of class, we do not want mothers resting on their backs, which may encourage the baby into the posterior position. Instead, the mothers set themselves up in a side lying savasana. To do this, we have the mothers rest on whichever side is most comfortable. Elevate the top leg on a block or bolster so that the knee, shin and ankle are at a 90 degree angle, and in line with the top hip. Moms are also rolling towards their belly so they are not loading the bottom hip with too much weight. With the top leg propped up on a bolster or pillow, the mother can safely roll towards her belly without concern that she will roll onto her belly. The pelvis goes through tremendous change and compromise during pregnancy. Because of this, it is important to include poses that will help bring balance and stability to the muscles and joints. Remember to include poses that work the hips in all directions, not just external rotation, which is most commonly associated with hip opening poses. The full family of hip openers accesses the full range of motion of the hip joint: internal rotation, external rotation, adduction and abduction, and flexion and extension. At Prenatal Yoga Center, we avoid most inversions such as headstand, shoulder stand, forearm stand or handstand in our prenatal classes. This recommendation is for those who study elsewhere, or have a personal practice. By the third trimester, the focus should be on the apana vayu, the downward flowing energy, as well as getting the baby head down and keeping it there. I only recommend inversions for those who are trying to turn a breech baby! Find Balance In Your Pelvic Floor! Sometimes students are concerned about practicing pelvic floor toning throughout their whole pregnancy. One student explained that she was worried this would make her pelvic floor so toned she would have a hard to opening up. There is definitely validity to this statement. Some professional athletes and dancers have such an over-engaged and toned pelvic floor (which is called hypertonicity of the pelvic floor), and they will have a harder time relaxing the pelvic floor for a vaginal birth. However, the majority of women do not have this issue. In prenatal yoga class, we focus on finding balance to the pelvic floor, I liken the pelvic floor to being like a trampoline, nice and springy! This means learning how to engage the pelvic floor muscles for support as well as understanding how to consciously relax these muscles. A well balanced pelvic floor can help facilitate an easier passage way for the baby as it rotates through the vaginal canal during delivery. For mamas trying to turn a breach baby, squats are not for you! Those who suffer from pubic symphysis and sacroiliac dysfunction should also steer clear of squats as they can exasperate the problem. Squatting opens the outlet of the pelvic approximately 28% more than in a reclined position, which makes squatting a valuable tool during labor and delivery. However, our culture is not a squatting culture, so your ankles, knees, hips and back may not be ready for prolonged squatting, and should practice ahead of time If your ankles and Achilles’ tendons are tight, the heels will light off the floor pelvis descends. If this is the case, place a blanket under the heels for support. You want the whole foot evenly balanced with weight not centered on the front of the foot. The chest should be upright, arches lifted and the inner knees not rolling in. I also like teaching squatting either with a partner, against a birth ball or wall. This helps the woman lean back and corrects the problems just mentioned. So now you have some basic guidelines for yoga in the third trimester. During this final stretch of pregnancy, you may find it even more important to slowdown, breath and enjoy your yoga practice. Time post baby may be limited, and your focus and practice will likely shift towards your new little one.